Item # 300661 Stash Points: 4,199 (?) This is the number of points you get in The Zumiez Stash for purchasing this item. Stash points are redeemable for exclusive rewards only available to Zumiez Stash members. To redeem your points check out the rewards catalog on thestash.zumiez.com. 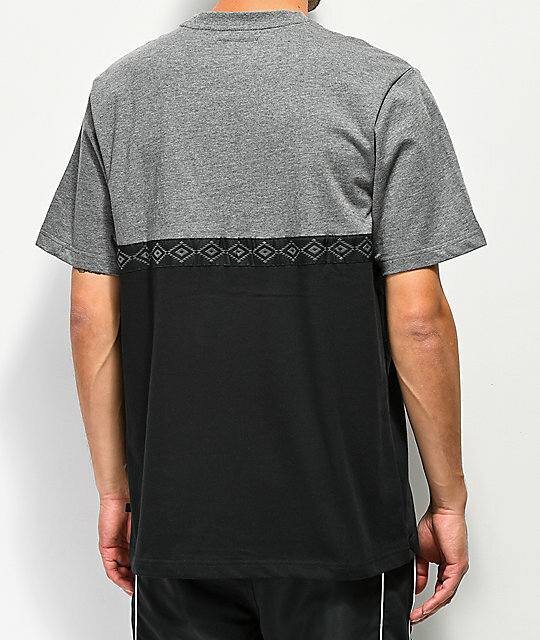 Flex a brand new look with Cookies' Tahoe Pieced Black and Grey Knit T-Shirt. This cotton/polyester blended garment offers a classic fit that comes complete with a simple two-toned colorway and a stylish embroidered logo patch that's distinguished with the brand's "C" emblem pin. 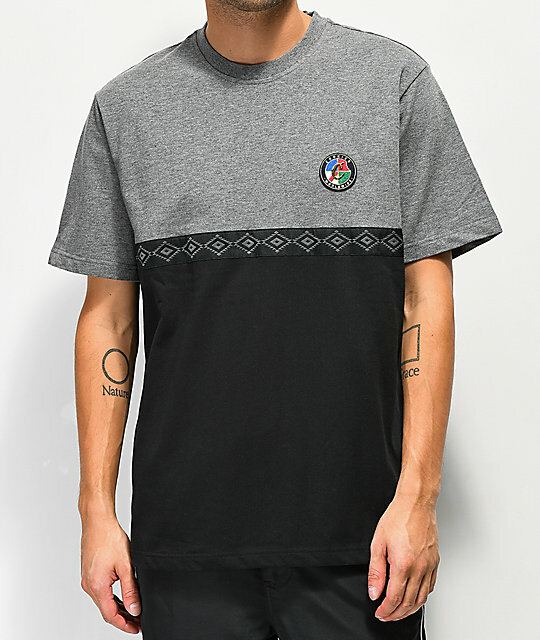 Tahoe Pieced Black and Grey Knit T-Shirt from Cookies. 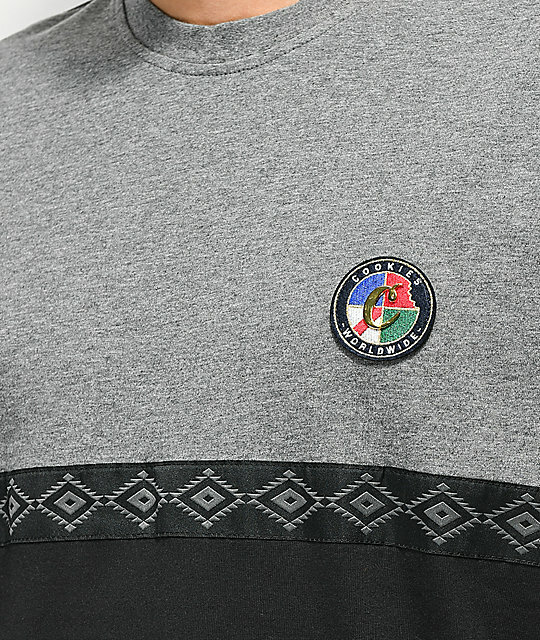 Colorblock construction in grey and black. Embroidered logo patch on left chest with Cookies logo "C" metal pin. Embroidered Southwestern print patterened woven stripe across mid garment.